Also you can enable SalesHandy plugin via Developer options. 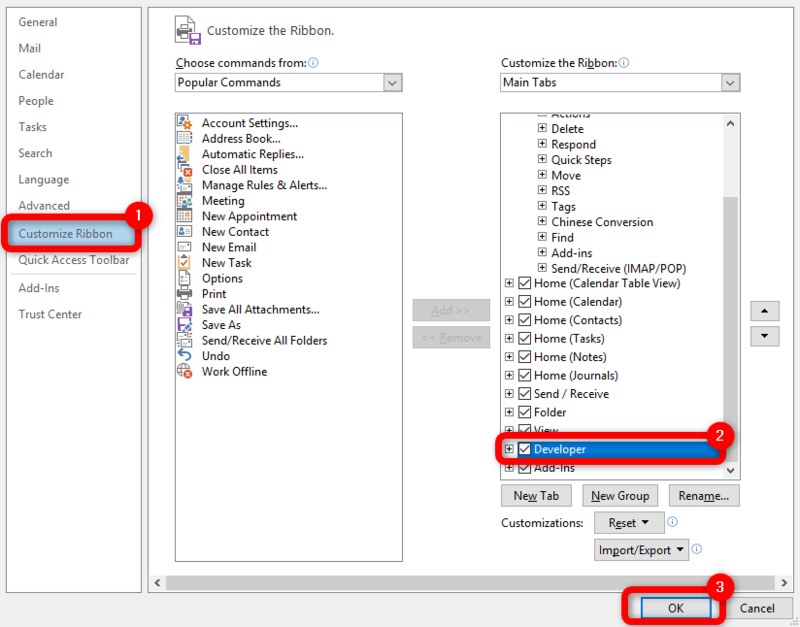 How to use new SalesHandy Outlook plugin? 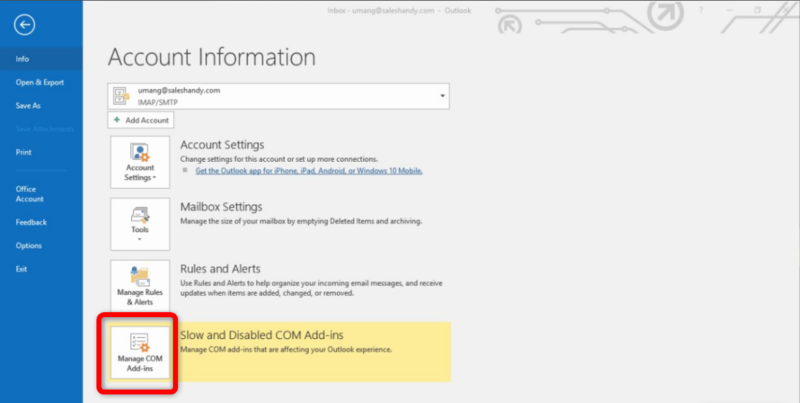 Click on File > Info > and select "**Slow and Disabled COM Add-ins**"
2. 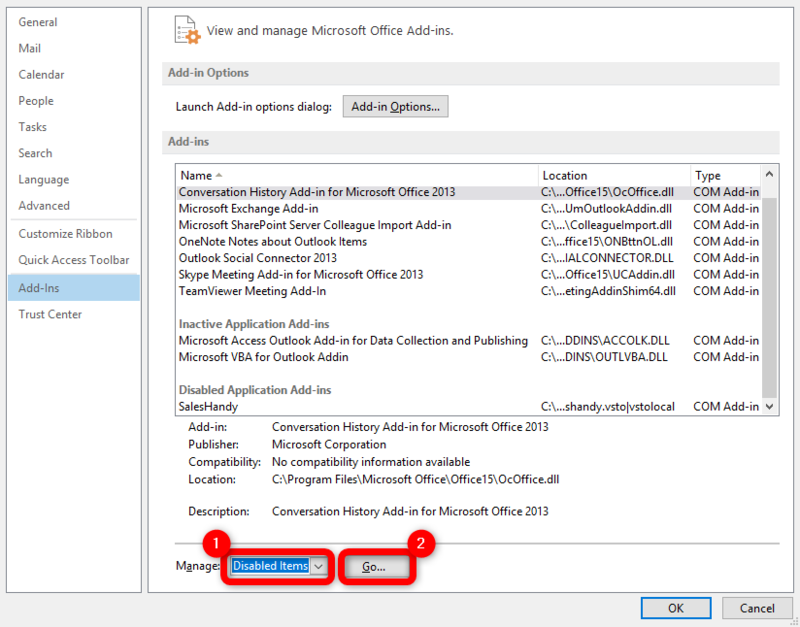 Enable SalesHandy for Outlook. 2. And then Click on "Add-ins" option. 3. 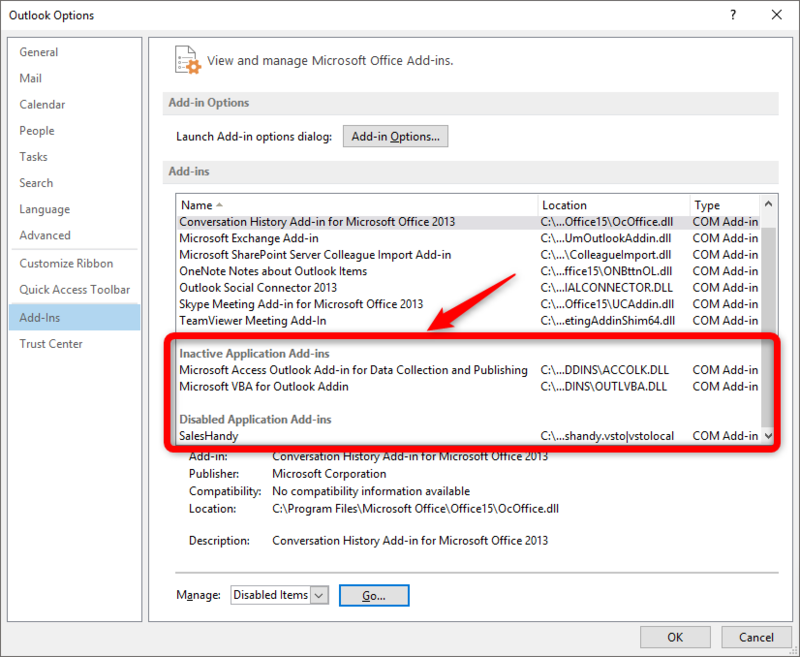 Try scrolling down in your add-ins list and see if SalesHandy Outlook plugin might appear in any of the inactive or disabled lists. 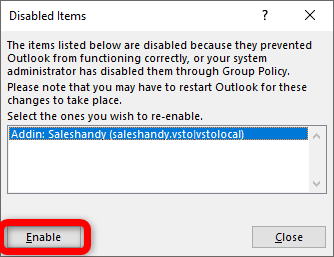 Under "**Manage**", click on the drop-down and select "**Disabled Items**", and then click "**Go...**"
Select SalesHandy Outlook plugin from the list of disabled add-ins (if it&apos;s there) and click "**Enable**". 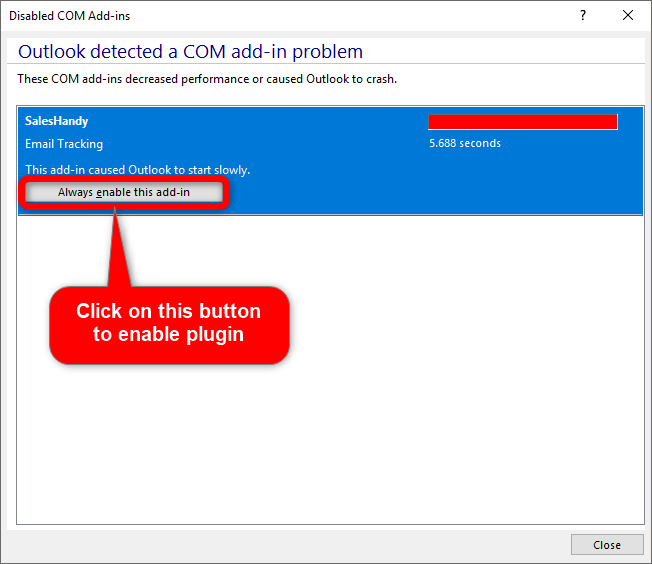 Then restart the outlook and wait for few seconds. It will work for you. 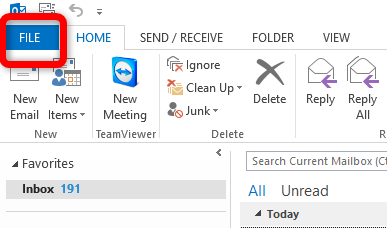 Now the Developer option is added to your Outlook Menu bar. 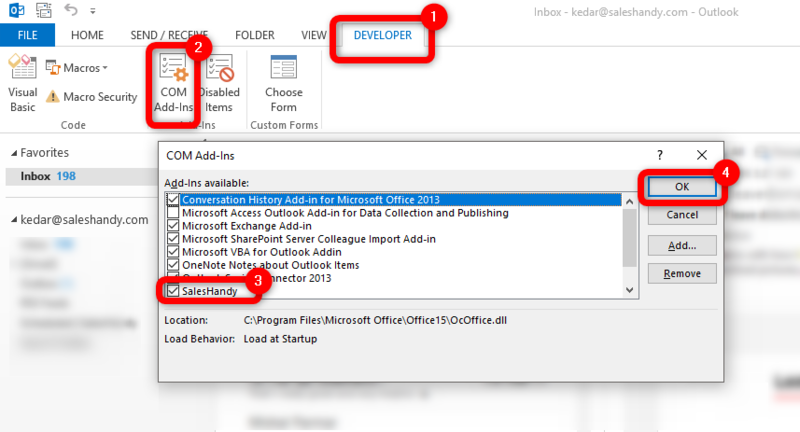 Click on Developer > COM- Add-Ins > Check mark on SalesHandy > click on OK button. Now the plugin will be enabled and you may able to see the SalesHandy Icons on the Home tab. Also you can reach us at support@saleshandy.com for any help with SalesHandy.